India is an ancient mystical phenomenon in perpetuity. There is a celestial fragrance of organised chaos, wonderful and breathtaking landscapes, nowhere-to-be-found moonscapes and timeless spiritual wisdom. It can be experienced first hand by coming to India and traveling like a monk. 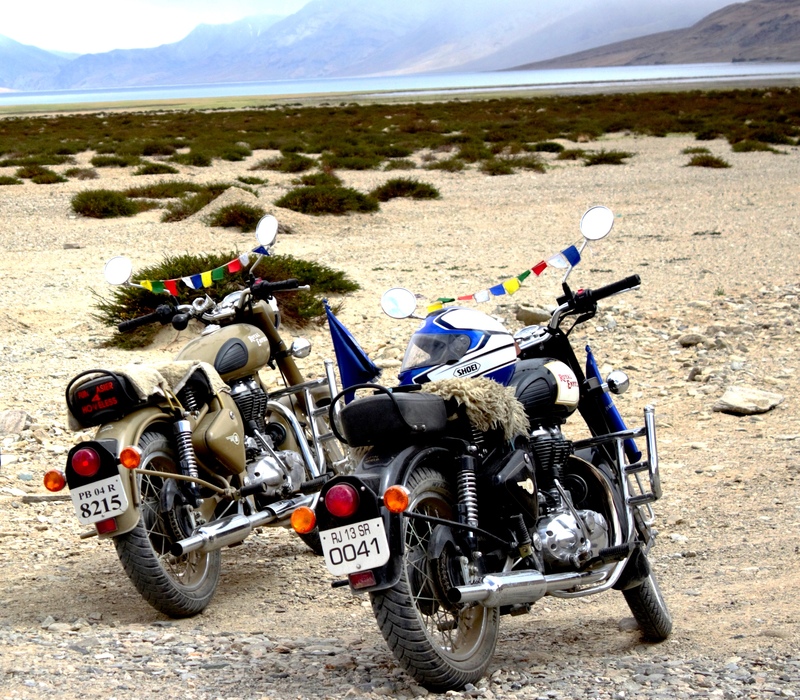 The second best option is to take the iconic Royal Enfield and travel these ancient landscapes of Ladakh for an inward journey of a life- time. 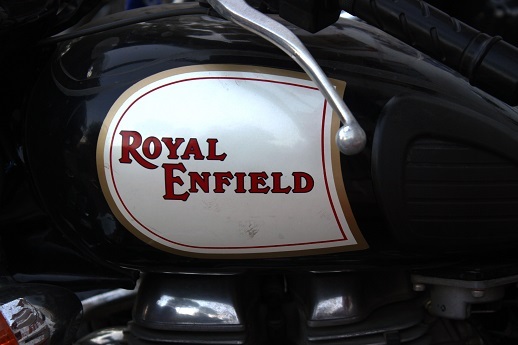 This is Indian War Horse, the Royal Enfield 500 cc. 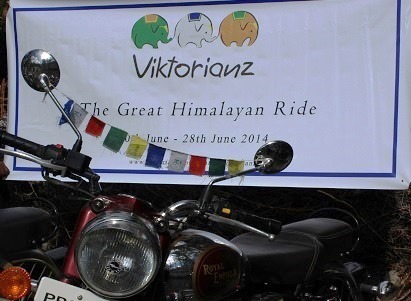 Most suitable motorcycle for rides in Greater Himalayas. 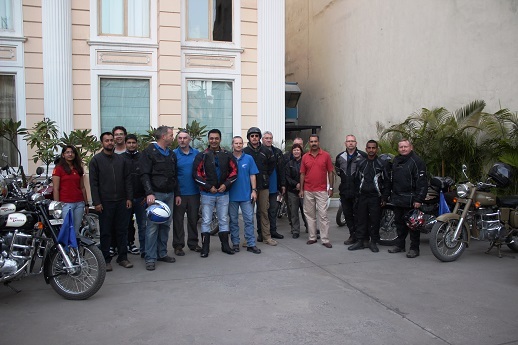 We began the Ride with 15 riders from the Holy city of Amritsar. 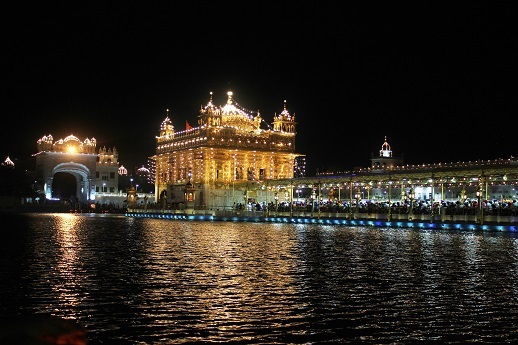 The Holy Golden Temple or Shri Harmandar Saheb at Amritsar, is the seat of Sikh Religion. The aura of this holy shrine by night is unmatched. Most auspicious place to start the Ride. Here is a halt at Lakhanpur Border. We move into the state of Jammu & Kashmir. 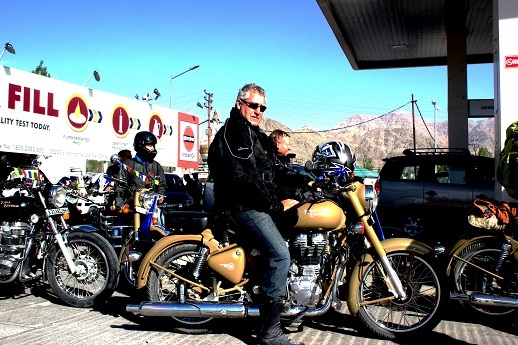 There are umpteen rivers from Himalayas we ride through. The 2nd night halt was at a Patnitop. 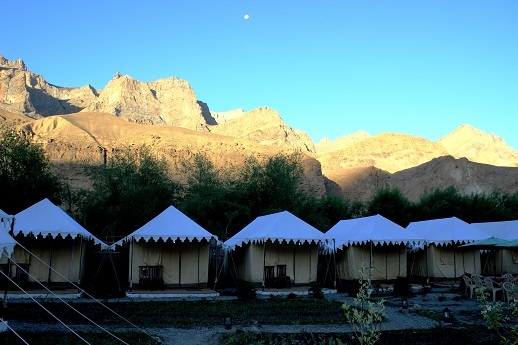 Beautifully situated in the lower Himalayas, there are some great morning views of this place. The breakfast scene. 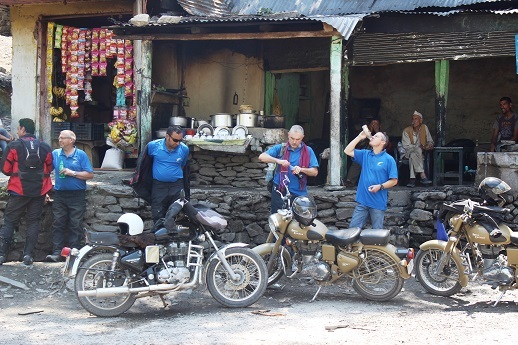 Just before we begin the ascent to Jawahar tunnel, here is a tea and water break at Banihal roadside Dhaba. 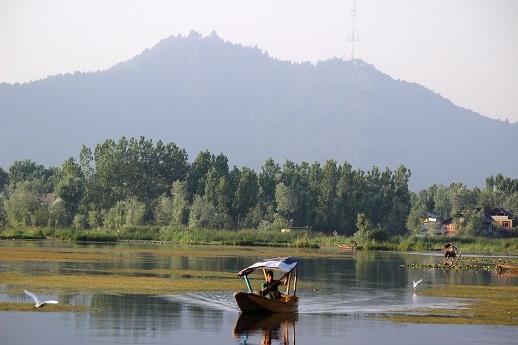 On day 3, we ride into Kashmir valley and have a place to stay on non-touristy and quiet and calm Nageen Lake. We spend 2 days here, before we move into higher Himalayas. 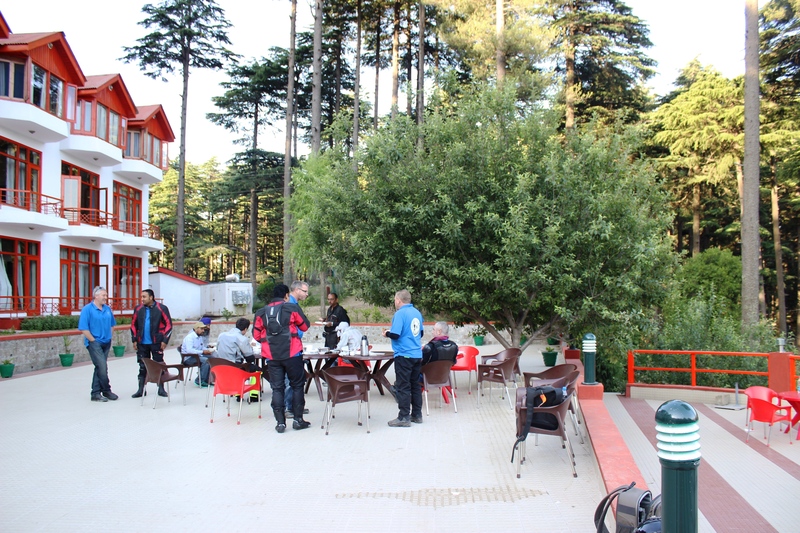 Day 4 – It was a rest day for Riders and the Bikes. 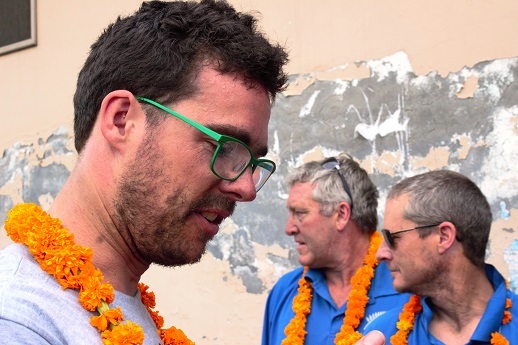 While the bikes were maintained, the Riders went around the Srinagar – Mughal gardens, Shikara ride on Dal Lake and market shopping. 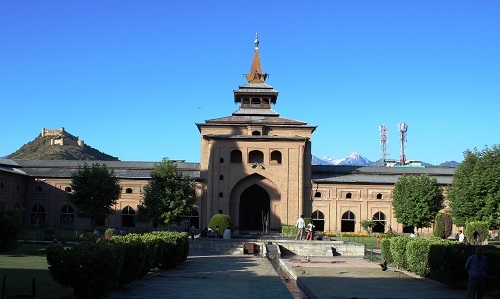 This early 14 century mosque is situated in the middle of Old Srinagar town. This one is worth a visit for the number of times it has been re-built. Highly recommended. 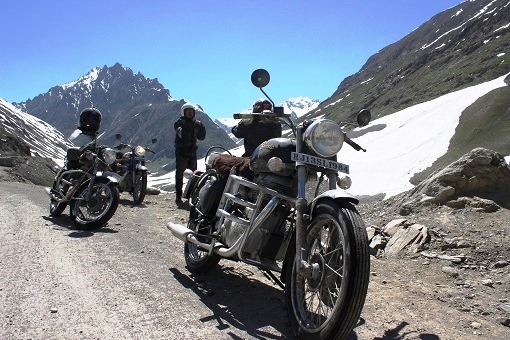 In June, the traffic across Zojila Pass is regulated by the authorities due to road repairs. 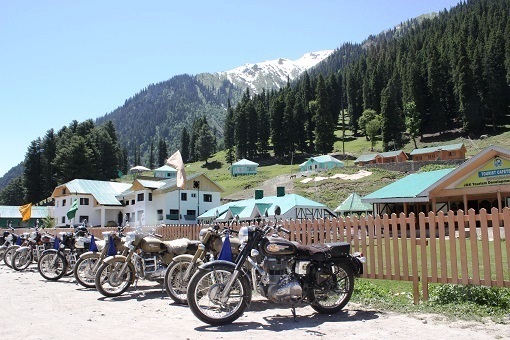 So you need to spend some time waiting at beautiful Sonamarg. 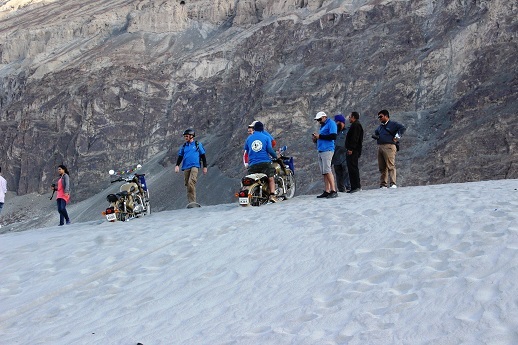 Crossing Zojila pass is an ordeal. The road to the Pass gets washed away every winters due to snow. And there are long queues of trucks to cross – And once you are across – it is heaven again .. 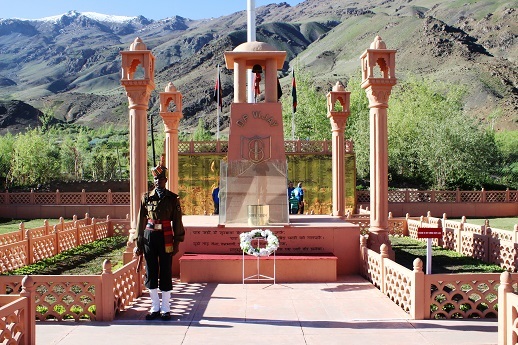 The firs stop after Zojila is the Kargil War Memorial just after Dras. This is a must STOP to pay homage to young soldiers who laid down their lives in 1999, Kargil War. On Day 5, after a long ride we reach Mulbegh and check into a camp. Here is a view of the camp in the early morning. 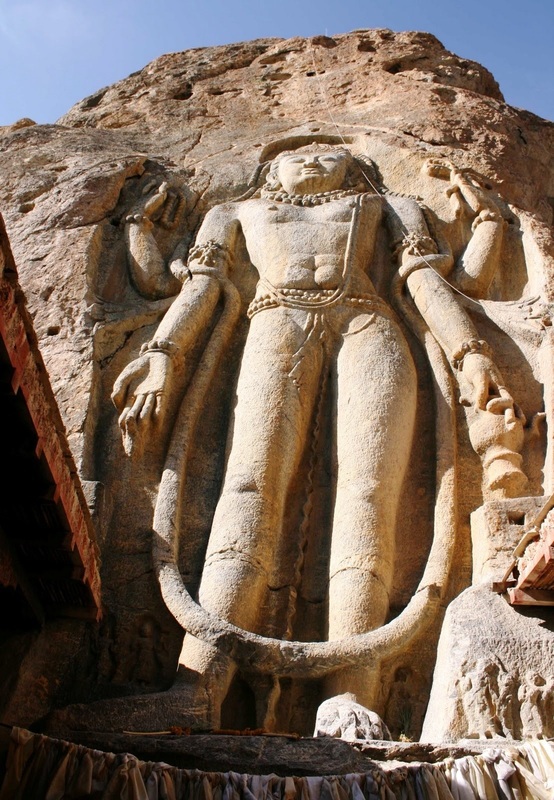 A kilometre after Mulbekh town, is the famous 8th century, Chamba Statue, an enormous figure carved into the rock face. 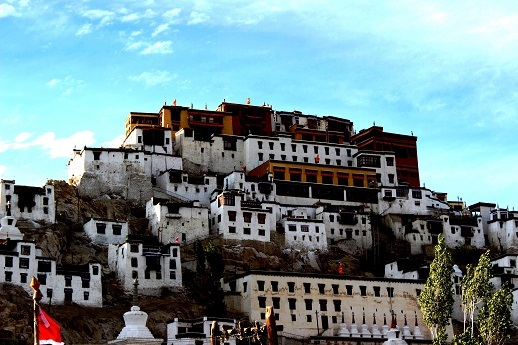 It pictures a standing Maitreya Buddha or Buddha-to-come overlooking the old trade route and modern highway. 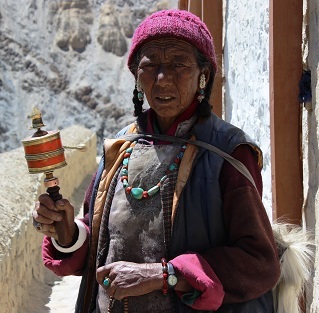 The hardy Ladakhi woman with her face parched in harsh sun. She holds the Prayer handle in her hand. 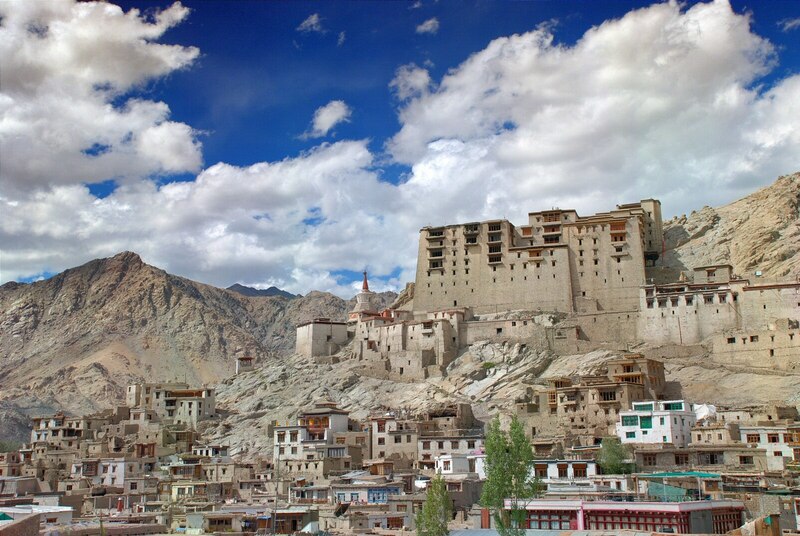 This is the famous Leh town – an ancient capital of Ladakh region and a solid cultural centre. 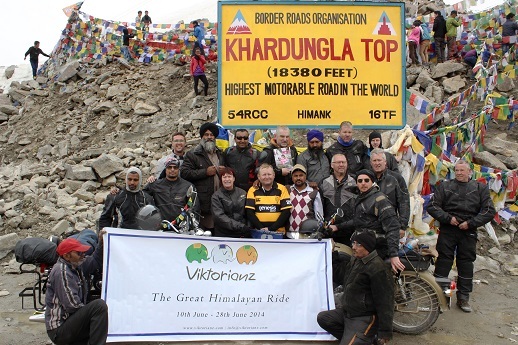 The Viktorianz riders atop the highest motor-able pass in the World. That is the Guinness record. Some bikers took the motorbikes up the dune. 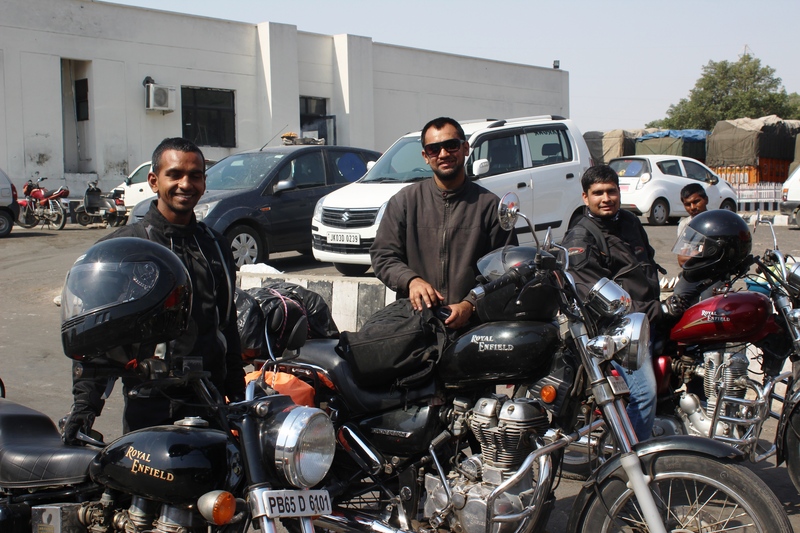 The bikers of the ride line up at Hunder sand dunes. An awesome landscape in the high altitude. We had a day at the Nubra valley. 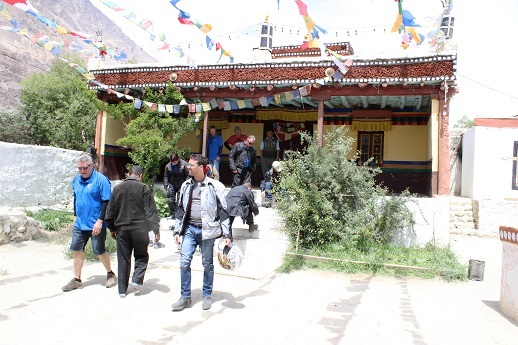 The riders visited a local Skuru village monastery and the history of the temple. 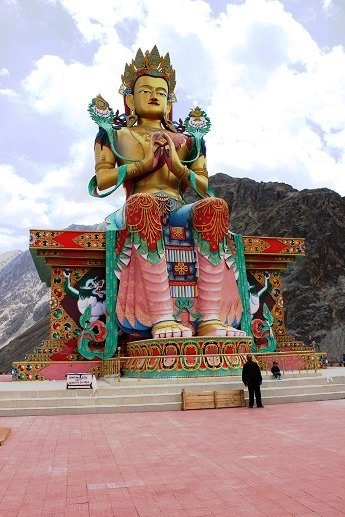 This is the very famous Maitreya statue of Diskit monastery overlooking the Nubra valley. One of the best view point overlooking the oasis of Disket and Hunder by the river. 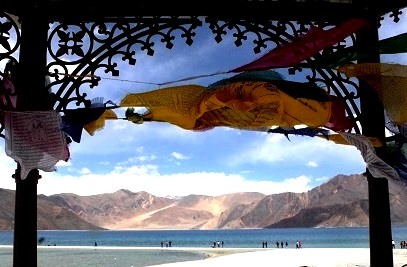 Tibetan for “long, narrow, enchanted lake”, also referred to as Pangong Lake, is an endorheic lake in the Himalayas situated at a height of about 4,350 m. It is 134 km long and extends from India to Tibet. 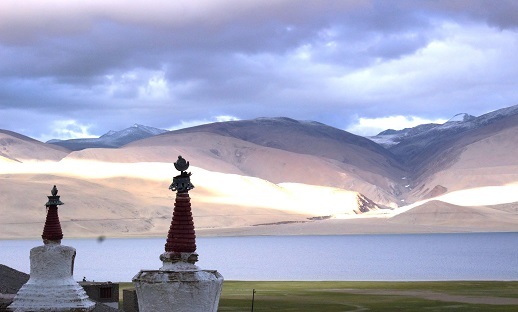 Approximately 60% of the length of the lake lies in Tibet. It is so beautiful and a symphony of colour blues. You would see this lake changing colors all day long. 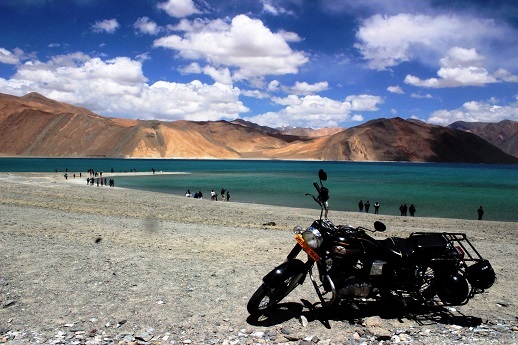 The Royal Enfield at the Pangong Tso lake .. the legend meets another .. The petrol pumps are few and far in between. You need to be always conscious of the fuel you have and whether it would take you home today. A routine break by the village. 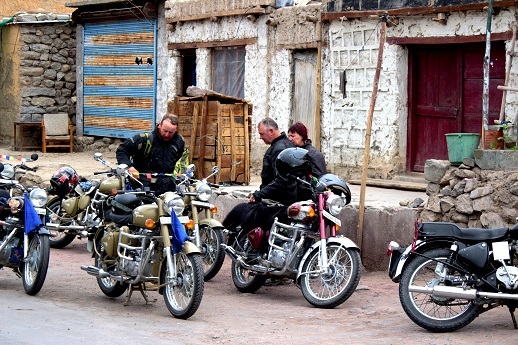 The rugged Chumothang Region – There are so many places on the ride into greater Himalayas, where you have to stop in the wilderness – middle of no where .. 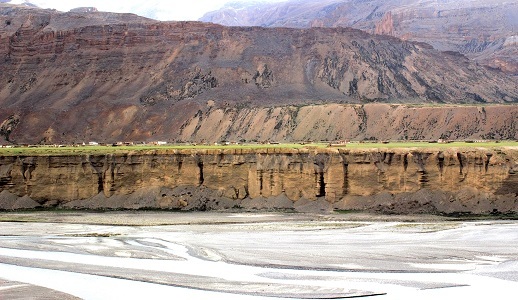 Here we see a Yak Farm on the way to Tso Moriri. Yak is the beast of burden in the entire Tibetan Plateau. 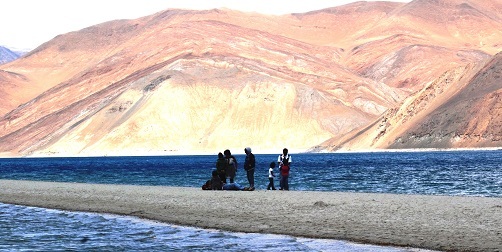 Tso Moriri – is a lake in the Changthang (literally: northern plains) area in Jammu and Kashmir. The lake is at an altitude of 4,595 m (15,075 ft); it is the largest of the high altitude lakes in the Trans-Himalayan bio geographic region, entirely within India. Another view to savour. This is the first view of the Moreh plains a little short of Sarchu camp. 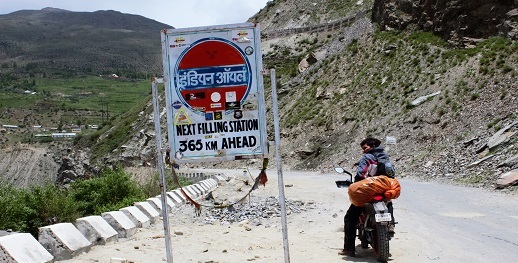 This sign board at Keylong says it all – the fuel on this trip is always critical. If you do not know your fuel, you may be stuck with a flame out situation! It is always wise to carry reserves. The Royal treatment at Baljinder’s village. We felt really honoured. On the way to Chandigarh, we stopped at Baljinder’s village (our driver of back up truck) and he gave us a Royal welcome. A big thank you and gratitude to his family. Thank you riders and we thank God Almighty for his grace and looking over us during the ride. This for sure should be on every Adventure Enthusiast’s Bucket List. Ride Safe and Ride Long! Please leave a comment at the end of this Blog – I shall be so grateful if you add to the knowledge base. Thank you Niranjan … doing my bit .. in rejuvenating lives ..